stitches came off this morning. but as it turns out the rotator cuff on the left side isn’t working as it should anymore. the result is an abnormally winged left scapula. it was bad before but post surgery it’s got even worse. so let’s explain a little bit what a rotator cuff is and what it does and why you should give a crap about it… esp if you want to do aerial circus! – #7 supraspinatus: arm abduction teamed w the delts. 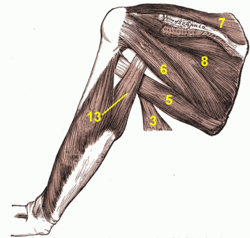 – #8 infraspinatus: external rotation of the shoulder. – #6 teres minor: teamed w the infraspinatus it holds the humerus in place in relation to the scapular cavity, but also work w the delts to rotate the humerus. – subscapularis (visible on the pic on the right. sits under the scapula): rotates the humerus medially, w overhead movements of the arm, it draws the humerus forwards and downwards. all these muscles put together form the rotator cuff, they all have the scapula for origin and insert in the humerus. the rotator cuff does a lot for shoulder stability. problems occur when there is an imbalance between the “bigger” shoulder muscles (delts, traps, teres major etc) and the rotator cuff. most of us concerned w bulk will pimp the bigger muscles. you can’t really see bulk on the cuff muscles sadly. 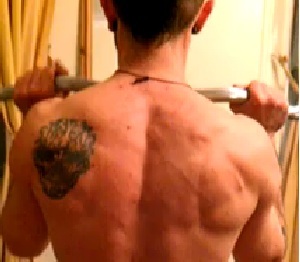 which has led me to bulk up a lot on the other muscles at the detriment of the smaller stability providing ones. so why is a winged scapula bad? the gap between the acromion (i.e. the tip of the scapula which fuses w the clavicle) and the humerus (also called the subacromial space) is where the supraspinatus tendon passes to insert into the humeral head. if the shoulder blade is not held properly in its place, this gap becomes more narrow, thus compressing the tendon which then provokes an……. 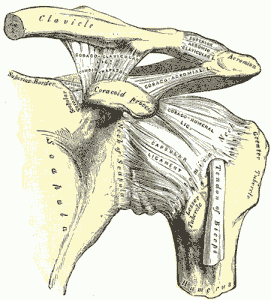 IMPINGEMENT. and there you have it. 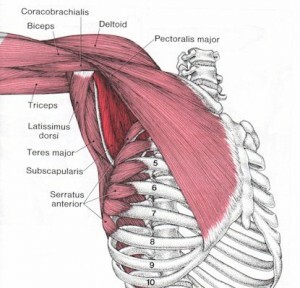 why you should care about developing the rotator cuff. i already had an impingement, presumably caused by the bone spur removed by my recent surgery adventure. now i need to get the rotator cuff active again to prevent more trouble. how to recover function of the rotator cuff? well then, let’s go onto the physio side of things. 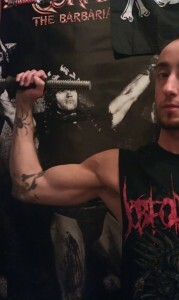 these exercises are the ones i know (done w my good arm! ), if anyone cares to add others it would be mighty helpful for injured buff ppl out there! *ArnoldCat? 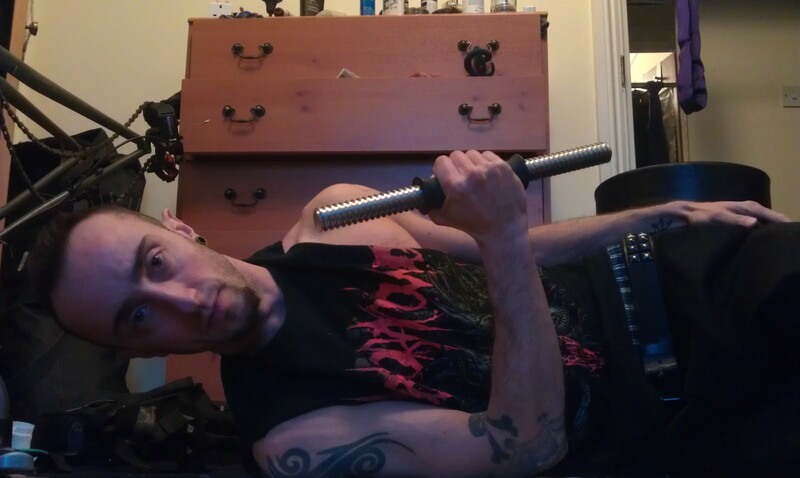 lying on yr side just lift your arm back up to your stomach and back down. 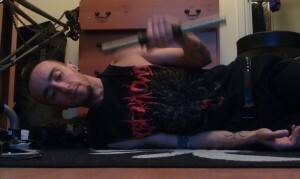 same as above but this time the arm you’re working on is on the top, let it drop to your stomach and back up. lift your elbow to shoulder height and lift a dumbbell up and down keeping the arm bent. it hurts even my good arm… argh. This entry was posted on 23/03/2012. 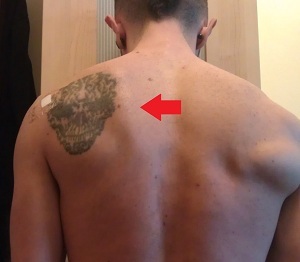 It was filed under Physio and was tagged with impingement, rotator cuff, scapula, shoulder blade, winged scapula. 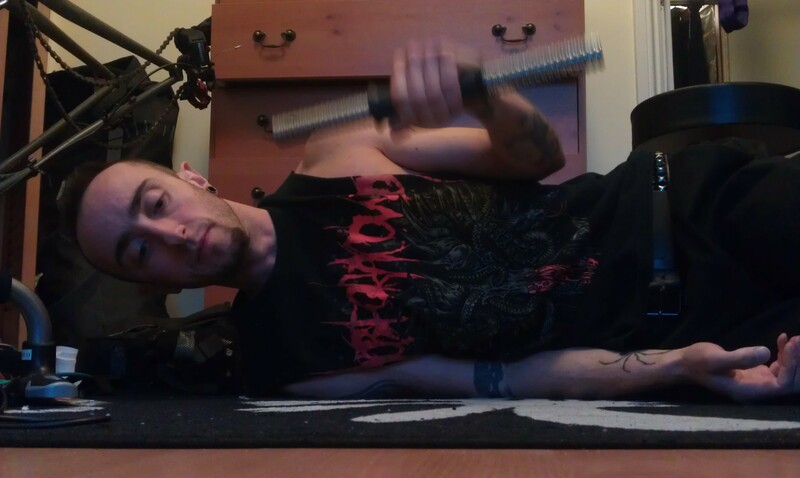 Zaki, you should mention that when you do all these exercise you have to focus on keeping your shoulder blade down. It’s very important as this way you you ensure you’re using the right muscles.